Whenever the subject of safe-blowing comes up in conversation, particularly in Scotland, there is usually only one name that comes forth  that of John Ramensky. He was however not as proficient a safe-blower as he was an escapologist and, as a result of press coverage, gained considerable sympathy from the general public by his five escapes from Peterhead Prison. Paddy Meehan, whose notoriety was due more to his unlawful imprisonment for murder than his safe-breaking exploits, was much more successful by targetting banks with much more rewarding results. There were however two much earlier cracksmen of whom it is unlikely anyone has ever heard. The first was Scotch Jimmy and the other was Rice Reid who both certainly deserve mention as well known figures of their time. Scotch Jimmys real name was James Muirhead. He was born in Edinburgh in 1848 and started his career as a joiner. He appears to have remained clear of the law until he was 30, when he was sentenced to 5 years penal servitude at Belfast Assizes. For what crime it is not known. When he next surfaces in 1896 it is in the South Western Police Court in London where he appears under the alias of George Roberts, and described as a diamond merchant. He is charged with minor thefts in London, but suspected as being wanted in Glasgow for his involvement in a Post Office robbery Eglinton Street. It is mentioned in court that he had received two terms of five years imprisonment and was out on ticket of leave when this robbery took place. He had also been convicted of extensive cigar frauds in Edinburgh for which he had been given three years. As his name implies, he seems to have attained his early notoriety for his exploits south of the border, having made court appearances in both Newcastle and Manchester although mainly for fraud and false pretences. In 1904 he featured in the reminiscences of a retired detective recalling that he took great pride in the excellence of his implements with jemmy, chisels and jumpers of the best quality. Apparently he also preferred to work with accomplices and only at weekends. He dressed like a city businessman when seeking out new targets and would spend many days and nights spotting the strengths and weaknesses of premises. He certainly stands out from the other safebreakers in that he diversified into white collar crime. He was even known to travel to Paris to dispose of his booty. It was after having robbed an Argyle Street jewellers that he and accomplices travelled to London where at the home of a woman friend they parcelled up the jewellery to take to Paris. He was arrested in London on his return but his friends arranged for the woman witness on whose evidence the prosecution would rely  to disappear to foreign parts. He does not seem to get into his stride as a safe-blower until about 1907 when he was charged with forcing a lockfast safe at the Ashton Jute Works in Dundee and stealing £518. Apparently the charge was found not proven and he was dismissed, only to be arrested on leaving the court on Behalf of the Glasgow authorities under the Prevention of Crimes Act for having had burglars tools in his possession. The same year he was charged with having been found on a tramcar in New City Road Glasgow with a loaded revolver and safe breaking implements. In 1909 he was sentenced to seven years for intention to blow open safes in the Glasgow Pawnbroking Companys offices on the corner of Bath Street and Buchanan Street. He had broken into adjacent offices and drilled holes in the floor to give access to the pawnshop below, but was caught before he could place his charges. His agent in pleading mitigation told the Court that Muirhead had been trying to go straight and had in fact tried his hand at journalism, and this was corroborated by the editors of two Scottish journals for both of which Muirhead had written articles. He had also tried his hand in the Music Halls, giving lectures of life in Peterhead. His last known sentence was in 1918 when he was 70 years old. He had only been released from prison 3 years and 9 months previously when he was charged with intention to blow open the safes in the same Glasgow Pawnbrokers 9 years before. His presence had been discovered by the sound of breaking glass. When caught he was found to have on his possession four detonators and explosives, food to provide for his needs for two days. ,plus a loaded revolver. For this he received 14 years but it is not known if he lived to serve the full sentence. Full name Thomas Rice Reid was born in 1870. There is not much information available on his career in crime except that it started when he was 14 years of age, and from ten convictions he served 13 years penal servitude.It might be appropriate at this point to describe the term penal servitude. It means hard labour in a prison under different conditions from ordinary imprisonment, substituted in 1853 for transportation, then abolished in 1948.Reid and Scotch Jimmy were at some times partners in crime as well as being neighbours at Peterhead. In the annals of Grangemouth is the following report. 1920  The Great Dyeworks Robbery, Rice Reid and Scotch Jimmy steal dynamite from Laurieston Pit, break into the Dyes, blow the safe and get away with the payroll, they were caught on a Berwickshire farm. They were in and out of prison many times and during one stay Jimmy taught Johnny Ramensky how to use explosives. In 1908 Reid went on trial along with one Joseph Skinner. Reid was in the dock on four charges of breaking open lockfast safes but Skinner on only one. These involved a variety of premises from Argyle Street in Glasgow to the Cooperative Buildings in Bathgate, the Dunblane Post Office, and a pawnbrokers in Greenock. The case which incurred the most publicity was when Reid and Patrick Francis Hyland were due to come before Lord Sands in the High Court in Edinburgh charged with breaking into the Pencaitland Colliery offices and the shooting which followed. 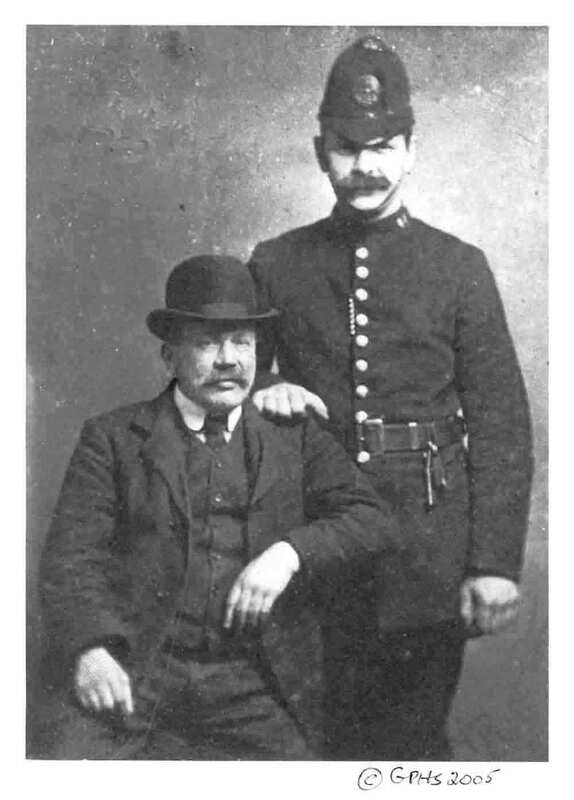 It seems that they had been discovered preparing to blow the colliery safe and in their bid to escape the police Hyland fired a pistol wounding one of the officers. After Lord Sands addressed the jury, a formal verdict of not guiltywas returned. Probably safe to assume that this marked the end of his career if not his life. Patrick Connelly Meehan was born in the twenties with the result that his exploits were better publicised than those of the two previous characters. Little is known of his early career except that his misdemeanours started in 1937 when only nine. When he does come into public notice he is setting higher standards than his predecessors by concentrating on the more prestigious and potentially lucrative target of the main Scottish Banks. In September 1951 he appears before Lord Blades in the High Court on the charge of on May 9th having broken into a shop at 8 Alexandra Parade, and from there into the St,Rollox Branch of the Clydesdale and North of Scotland Bank at 130 Castle Street, forcing open a cupboard by means of explosives and attempting to open a safe. It was stated that he had been invited to participate by others as they had felt that blowing the safe was beyond their level of skill. For his generosity he was given a sentence of two years. The others had already been sentenced. 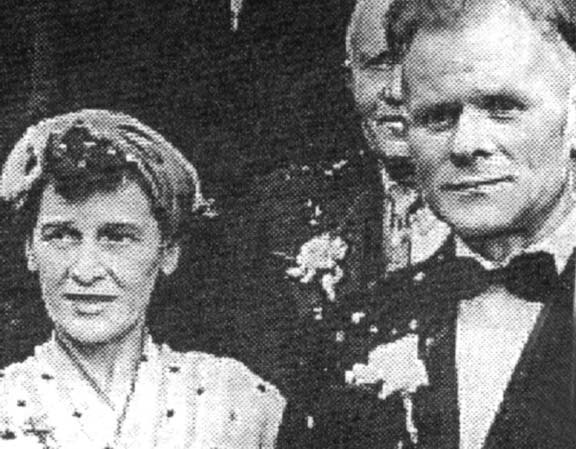 His next court appearance is before Justice Reddin at Shankhill Co.Dublin in May 1955, but this time on the less serious charges of being in unlawful possession of sums amounting to £55, property of The British Linen Bank, Glasgow, and which was alleged to have been stolen from their Oban Branch from which £6000 had been stolen the previous Tuesday. The sentence for the above must have been minimal for in August of the same year, with an associate Arthur Thompson, then aged 24, later in his criminal career to become known as The Godfather, they attacked the Commercial Bank of Scotland branch in Beauly near Inverness. The branch was occupying temporary premises at the time which made the break-in relatively easy. Of the three safes on the premises two were blown open and the third unlocked by a key which may have been kept in one of the other safes. The report at the time states that the bulk of the cash was secured in part of one of the safes which remained fast and that this was possibly due to an excessive charge having been used. In all probability the safe was fitted with a high security coffer, the purpose of this being that the remainder of the safe could be left accessible during working hours for books and records, but meanwhile the cash was safely secured in the coffer until required. This was fairly common in all bank safes where the coffers were both drill and blowtorch resistant. In fact in this instance the coffer contained £8000. The report also states that an expert had to be called in to open the coffer. Locals later reported that they thought the noise was caused by rifle shots or cars backfiring. They were later arrested and went to trial before Lord Wheatley at Inverness High Court in December 1955 and charged with stealing a Humber Snipe from Butlins Ayr, breaking into the Commercial Bank of Scotland, Beauly, and stealing £391.7.4. In evidence, a gardener in Beauly stated that he had found a key that afternoon which it transpired, bore the same number as keys to Arthur Thompson's house at 12 Queenslie Street, Glasgow. In Thompson's house police also found a rare silver groat which had come from a collection of coins belonging to Mrs.Mathieson, the Bank Manager's wife. 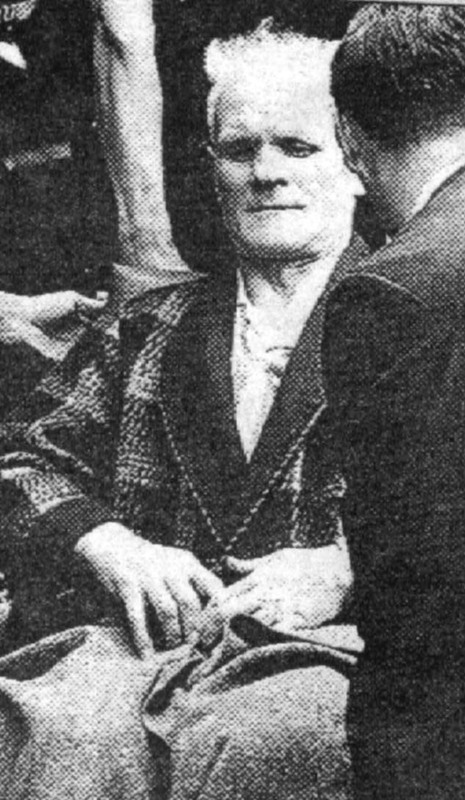 Some years later Meehan was the victim of a miscarriage of justice over the murder of an elderly woman during a housebreaking in Ayr. Even after the actual murderers confessed, it took a book by Ludovick Kennedy to have the case reopened and a Royal Pardon granted. He died of throat cancer in 1994. 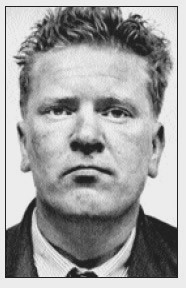 "Ramensky fits into a pattern of subjects about whom fact merges into legend"
Probably the best known safe-blower in this country  not so much for his safe-breaking prowess as for the many and highly publicised escapes which he made from Peterhead Prison  five times altogether between 1934 and 1958. His parents, who were probably of Lithuanian origin - the family name being Ramanauckas - were married in Poland. His father was a Fire Clay miner to trade and in all probability came into this country among other immigrant labourers brought in from Europe as blackleg labour to break the 10 month old strike at the Glenboig fire clay mine in 1901. John, or Yonas was born four years later at the family home also in Glenboig. 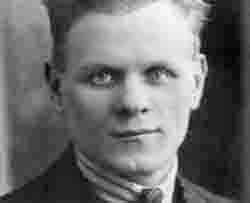 He was 8 when his father died and the family moved to the Gorbals district of Glasgow. There he started to get into trouble from the age of 11, eventually finishing up in Borstal for three years. He was released in 1924 but was soon convicted of theft and sentenced to 3 months in prison. As it was his first appearance in the High Court, the Judge felt disinclined to pass a heavy sentence on such a young man and stated that he would give him one more chance despite his previous record. He was given 18 months but with the proviso that if he came back to that court he could not hope to escape a long sentence of penal servitude. Athough for a while he tried to make an honest living as a commission agent, by 1927 he was back in prison for 3 years. When he married Margaret McManus in October 1931 he had changed his name to John Ramsay. He gave his occupation as a coal miner. and his address as 89 Cathcart Road, Glasgow. There was then a brief spell running a bookmaking business at the dog racing tracks until, in March 1934, with an accomplice, his brother- in- law Mario Demarco, whom he admitted later in court he had incited to join him, they blew open the safe at John Ledingham & Sons, bakers, in Mount Street Aberdeen, and were subsequently caught by a prompt police response when they were caught on the Glasgow bound train at Perth Station. A heel mark from Demarco's shoe in the soot of a fireplace, and a torn piece of a 10/- note in Ramenskys pocket which matched the remainder of the note found on the bakers premises ensured their conviction. Amount stolen - £246. Sentence, 5 years.The press reports of the trial now refer to him as John Ramensky. It was during this spell in Peterhead that Ramensky made his first escape on the 4th November 1934. Although it is usually reported that this breakout was because he had been refused permission to attend his wife Margaret Ramsay's funeral, and that his sense of outrage had prompted this action, this cannot be correct as she did not die until October 1937 - three years later. His description as issued at the time was :- 30 years of age, 5 feet 5 inches in height, light brown hair, blue eyes, fresh complexion, flat nose, and in prison garb. He was caught the following day at 10.35, having been free for 28 hours, and having travelled 22 miles. He was wet and bedraggled and without cap, jacket, or boots! His only food had been turnip from a field. He was taken to the hospital in Craiginches Prison in Aberdeen for treatment to his feet. Despite having broken out of prison, his term must have been reduced, for less then 4 years later on the 9th or 10th of July 1938 he blew open the safe in the Empress Laundry, Seaforth Road, Aberdeen, and from which he stole £180:2:11., plus £105:14s from a second safe that he was about to blow when he discovered the key for it in the first safe. Once again forensic evidence convicted him. It was a landmark case for the scientist in that having obtained traces of sawdust (component of the fire-resisting filling of safes) from the turn-ups of his trousers, they matched it exactly with samples taken from the safe. While this might not always be 100% accurate in other cases as different safes might contain similar sawdust, in this case there was an unusual fungal infection in the wood that limited it to this one safe. 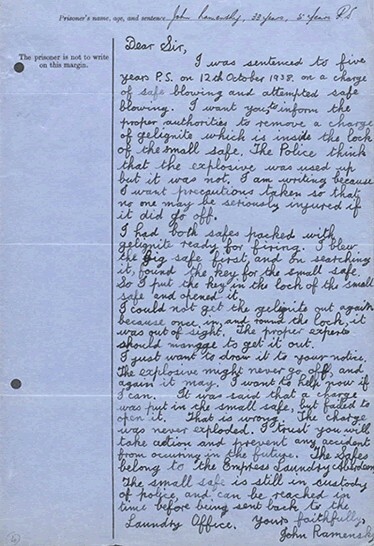 To illustrate how prolific a cracksman he was, notes taken at the time suggest that there could well be traces of ballast or proofing on his clothing from other safes as well, since he was believed to have been involved in safe-blowings in Manchester, Clydebank, and various other places since his release from prison 2 months previously. Of course this was not the only evidence on which he was convicted. As in the previous case a small scrap of paper found on Ramensky matched the other part of an envelope on the premises. This scrap had been used as a page marker in a Murrays A.B.C. railway timetable for the service on which he was arrested making his return to Glasgow. At this time he had been living with his sister in Rutherglen but was soon to be a guest of His Majesty again for 5 years penal servitude*. The above letter - with acknowledgement to the National Archives of Scotland - was written from prison after the above crime to warn the authorities of the undetonated charge within the second safe. It might have been more to his credit however if he had not waited for three months before actually making anyone aware of the fact. NOTE: Penal servitude was hard labour under different conditions from ordinary imprisonment. It had been substituted for deportation in 1853, and abolished in 1948. At Peterhead Prison the hard labour involved breaking and transporting granite at the Stirling Hill Quarry. It was said in the newspapers of the time that that good-conduct marks would earn him privileges. From a cell with dark windows he could move to a cell with clear windows through which he could see the exercise yard, and then, to the highest honour  a cell overlooking the sea. This does not sit well with the following excerpt from the Scotsman in December 1934. Mr McGovern (I.L.P., Shettleston) asked the Secretary of State for Scotland if his attention had been drawn to the form of punishment being meted out to John Ramensky at Peterhead Prison for jail-breaking, where shackles where shackles were placed on his legs whilst undergoing solitary confinement, and if he was prepared to put an end to this practice. It was agreed in Dec.1934 that this method of restraint should not in future be used in any Scottish prison. On the 2nd of September 1939, the day before war was declared, Ramensky petitioned to serve in the army following the outbreak of war, and on the 14th of December in 1941, again petitioned to have his licence reviewed in order that he could serve his country. Both were rejected. In August 1942 another petition but this time so that he could alter his name to John Ramsay to enable him to make a fresh start when he joins the army on release. The records show that he was discharged from Peterhead Prison on the 8th of October 1942 with a new Identity Card issued in the name John Ramsay. He enlisted as John Ramsay into the Royal Fusiliers in January 1943. It is known that he was employed as an instructor in methods of burglary and safe-blowing at the training school for the SOE at Beaulieu (despite his heavy Glasgow accent making him almost unintelligible). He subsequently attended the commando training establishment at Achnacarry but it is uncertain whether it was in the capacity of instructor or as a commando trainee. 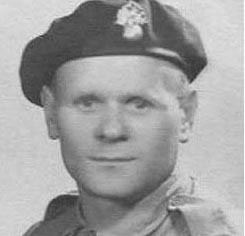 Records show that in 1944 he was a member of 30 Commando (AU) Section 34 (army troop).There are many and various unsubstantiated stories of him having been parachuted behind enemy lines to blow up infrastructure and steal important documents' including having blown open 14 embassy safes in Rome in one day during the occupation. Underlying the latter story will be a thread of truth as the main function of 30 Commando was the acquisition of intelligence ahead of advancing forces. The attached photograph - by courtesy of 30AU - shows Private Ramsay (lower left) and comrades which appears to have been taken in North West Italy around the time of the German surrender at the beginning of May 1945. The 34 Wing returned to the UK in the August of that year when Ramsay transferred to 6 Commando, and which in February 1946 was sent to operate with the BAOR on mainland Europe. Unlike the intelligence gathering function of the 30AU, the 6 Commando were engaged in searching for German personnal wanted for questioning regarding war crimes and also in assisting restore law and order in the immediate aftermath of the war. By the end of hostilites in Europe in May 1945, the 6 Commando had advanced with the main forces as far as Neustadt on the Baltic where the Allied occupation ended and the Soviet began. It has been variously stated that he was awarded the Military Medal and given a free pardon, but as his sentence had been fulfilled by 1942, both claims are inaccurate. It now seems more probable that he was given a military medal. This would have been the War Medal as awarded to full time personnel in the armed forces who had served during hostilities. It has also been claimed many times that he learned how to use of explosives from his brief experience as a miner, but as this is in the domain of the shotfirer, not the miner, this is also inaccurate. There is much more truth in the report that he learned the basics of safe-blowing from Scotch Jimmy while in Peterhead. It is known that he returned to his unlawful activities shortly after military service as he was given a 7 year sentence  reduced to 5 on account of his war record  at a York Assizes in 1947. In 1948 he made a request to have the 'Noon Record' sent to him in order that he could maintain a working knowledge as a bookmaker. His conduct must have been exemplary as he was released after 3 years and 4 months. 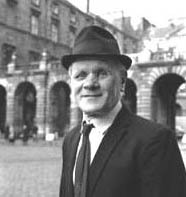 Then, running true to form, he received another jail term of 5 years during which time he made his second escape from Peterhead in 1952. On this occasion he was free for 46 hours and was recaptured at Balmedie, the same place where he had been caught 18 years previously. Ten months later he was caught hiding on the roof of the Croftfoot Garage where he had just blown open the safe. He was unfortunate enough to finish up in the High Court again but this time before the notorious Lord Carmont, who in handing down a cruel sentence of 10 years said that the public must be protected and added  you have shown that you are a menace to society. Any sentence of less than ten years would be useless. John had made an impassioned but pathetic plea. I have had more than my share of suffering. I am pleading not only for a chance, but for the happiness of a home and a good womans love. Give me a chance as only good can result from it. All to no avail. Three years into his term, in 1958, Ramensky or Ramsay escaped on three occasions. The first in January for 24 hours, then in October for 40 hours, and his last escape in December for 10 hours. Eventually released in 1964 he again wasted no time and this time broke into Woolworths High Street store in Paisley. Being an American company, the safes, although of British origin, were fitted with keyless combination locks. For some unknown reason he did not follow best practice where no keyhole is present. Normally on safes of a medium quality such as these, the dials could have been sheared off with a chisel and the spindles punched through to create access for the charges. (Note: explosive proof safes have punch-resistant spindles). What Johnny did however was to place two charges of gelignite on the outside of the doors. The resultant explosion of the unconfined charges took out every window of the first floor offices and was even heard in the local police station. Needless to say the safes firmly remained shut. And Ramsay too  having admitted the crime - shut away for two years. Once again his 'legend', to which the famous lawyer Joseph Beltrami referred as being 'often trotted out in pleas of mitigation', was again mentioned when his defence lawyer read out the following statement in court. "He has asked me not to refer to his wartime exploits, but after the war he had difficulty like thousands of others re-establishing himself - broken promises - suspicion and false adulation were the elements of this man's experience". A statement from Ramsay himself was also read out in court. "I worked for months with a pick and shovel and tried desperately for other work. Promises of help made to me while I was in prison by business men and others were never fulfilled." In 1967, Ramsay, now 62 years old, had his second last fling. On the 3rd of January he blew the night deposit safe of the National Commercial - now the Royal Bank of Scotland - at 82 Main Street in Rutherglen. Being just inside the Bank window the noise was terrific and Johnny had to make a run for it with whatever he could grab. Unfortunately it was nearly all in half-crowns which meant that he was so heavily handicapped that he had no chance of outrunnin g the police. He was charged with assaulting Constable Neil Williams by punching him in the face while resisting arrest in the nearby Greenhill Recreation Ground. He was however aquitted on this charge as he had acted party in self-defence. He pleaded guilty to the crime of safeblowing for which he received a sentence of 4 years. The last one was in 1970 when he tackled the strongroom of the Stirling Burgh Factors office. His luck ran out  not unusual  and he sustained a very bad fall from the building. After 14 weeks of recuperation he started a sentence of two years. He was apparently caught sometime later on a shop roof in Ayr and for which he got 12 months. 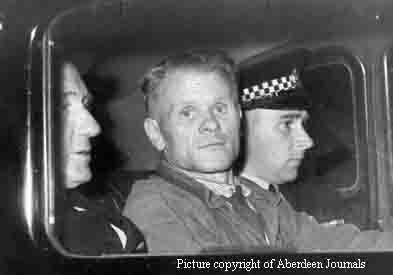 John Ramsay collapsed in Perth Prison in 1972 and died shortly afterwards in hospital. Strangely the Death Certificate makes no reference to the name Ramensky, only John (formerly Yonas) Ramsay (formerly Ramanauckas) and his profession as a Bricklayer's Labourer, retired. National Archives of Scotland 2006 : As the Eighth Army moved across North Africa, Ramensky broke into safes ahead of the front line, including that at Rommel's headquarters, and it was Ramensky who opened the strongroom and safes at Goering's headquarters in the Schorfheide in Germany. Fact : Rommel's HQ in Libya was attacked in 1941 when Ramensky was still in prison. Goering's castle at Carinhall was demolished on Goering's orders as the Soviet army approached after all the contents had been removed. 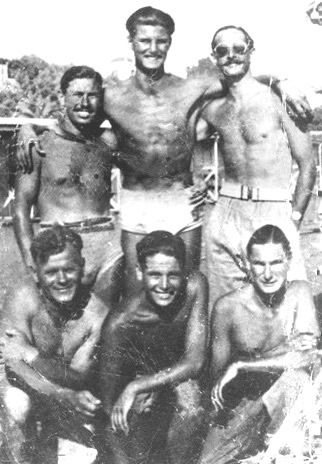 Ramensky was still serving in Italy. It has also been stated that he opened the safes of Hitler, Mussolini, and Goebbles. When safes are abandoned in times of crisis it is the practice to remove the contents as even happened with the passenger's valuables in the Purser's safe on the Titanic as she sank. to write his life story. notebooks concerning the prisoner's war experiences alone. notebooks not given to prisoners on their discharge are destroyed three months after discharge. Part of the legend refers to the opening of a number of enemy embassy safes in Rome, which fits with the mission pattern of No.30 Commando. In fact an event is described in some detail in the well researched book by Peter Haines called "The Mystery of Rommel's Gold" where Ramensky is ordered by the officer in charge to 'go upstairs into the strongrooms and open all the safes', and 'within half an hour had opened all 12'. From this text it appears that the 'strongrooms', which being at upper floor levels would be 'bookrooms,' are already open with 12 'safes' within them. Floor-loading limitations would preclude the installation of this number of 'safes' on upper floors and normal practice in bookrooms is to fit them out with security cupboards within the storage racking. This now begins to make sense as it would be quite possible to open 12 such security enclosures within the time stated as compared with 12 conventional 'safes'. It then goes on to say that the team - Commando and partisans - 'withdrew as silently as they had come'. This suggests that the 12 units were not opened by explosives. The book goes on to tell of Ramensky blowing many other safes as the allies progressed into Northern Italy. Some versions of the legend state that in addition to embassy safes, Ramensky also blew open the safes of Field Marshall Rommel, Herman Goering, Joseph Goebbles, and the above book mentions that of Adolph Hitler. None of these claims have ever been verified but are at the highest end of improbability purely on points of technicality. Embassy safes, and those of military importance, would have been of the highest security grade in their country of origin and fitted with at least one keyless combination as genaral practice. In the case of embassies the use of the combination lock would have been to enable a secure changeover of the senior diplomat in charge, the keylock being used for daytime use by staff without the time-comsuming procedure of having to dial up the combination lock, the primary use of which is for overnight protection . The writer had experience of this in 1948 when called to what had been the German Consulate's offices in Glasgow. The Consul's safe was a Bode-Panzer fitted with two combination dials. The locking system was known as Lafette whereby one of the lock dials was a dummy, controlled by the other true lock, concealing a pull-out stem behind the dial with a breech device at the inner end into which a small key bit was inserted and returned into the lock mechanism to operate as would a normal key by turning the dial. This system therefore had the same effect as having a keyhole shutter operated by a combination lock which was the British method of preventing an explosive charge from being placed through the keyway into the lock.